Hurricane Sandy left Lower Manhattan completely dark, eerily bereft of the electricity that keeps New York City buzzing 24 hours a day. Across town, 34,000 people living in the Rockaways, an exposed spit of land that acts as a barrier island, were left without power for weeks when the storm hit in October 2012. On the heels of that devastation comes a new study that says New York City is among the cities most sensitive to increasing hurricane intensity, making it more likely that major hurricanes will cut off power to even more people, fueled in large part by climate change. In a Johns Hopkins University study published this week in the journal Climatic Change, researchers used a computer model to show how power grids in coastal cities are likely to see more power outages from hurricanes in the coming decades. 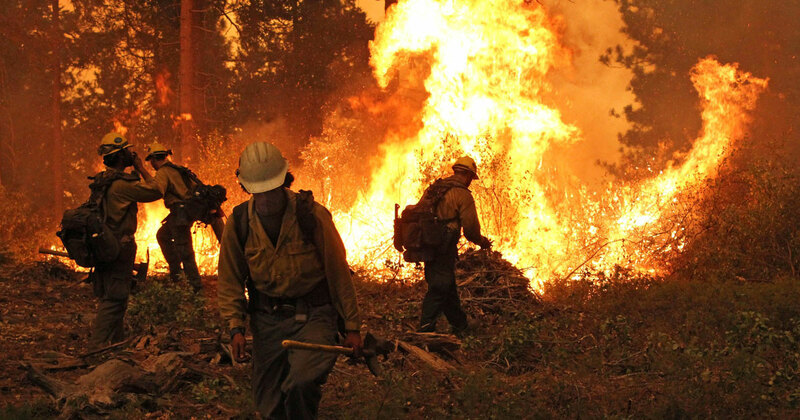 Climate change is expected to make hurricanes increasingly intense and damaging as the atmosphere warms. 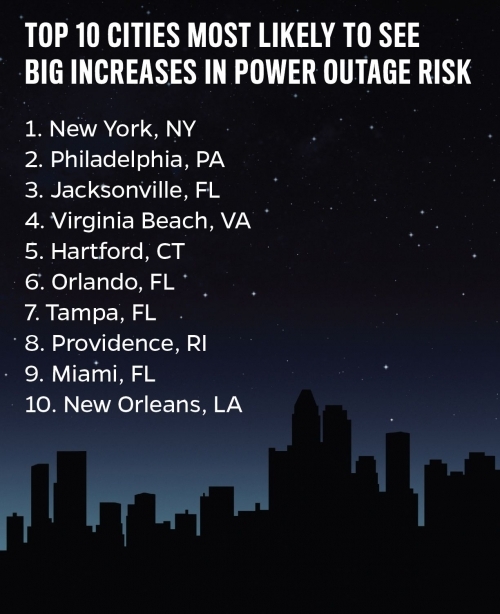 After New York, the cities most likely to see an increased number of power outages during hurricanes are Philadelphia, Jacksonville, Fla.; Virginia Beach, Va.; Hartford, Conn.; Orlando, Fla.; Tampa, Fla.; Providence, R.I.; Miami and New Orleans. “This would be cities at most risk of change — the cities our results would suggest would see the most change in the future if hurricanes became more intense,” study co-author Seth Guikema, assistant professor of geography and environmental engineering at Johns Hopkins, said. In determining how vulnerable those cities’ power grids are to extreme weather in a changing climate, the researchers used a computer model to project how possible changes in hurricane activity may influence each city’s risk of power outages. 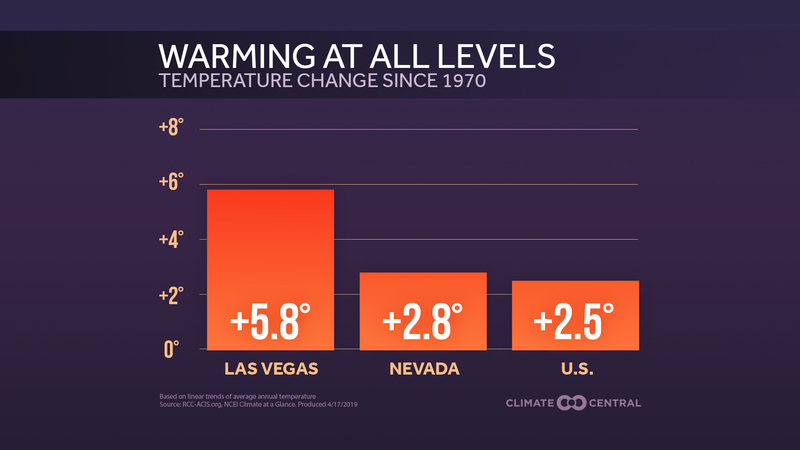 Hurricane activity will not affect all the cities along the Atlantic and Gulf coasts equally in a warming world. 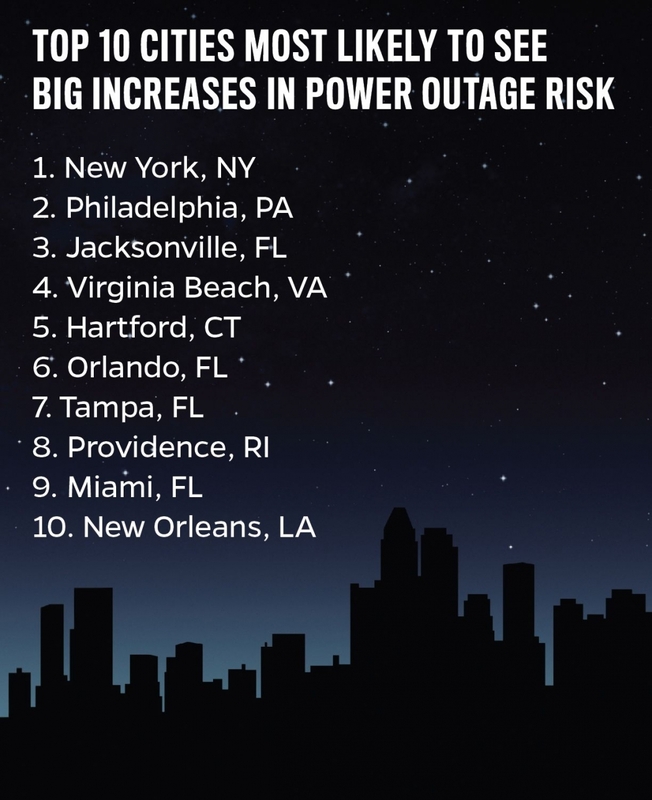 The odds of a 100-year storm hitting New York or Philadelphia could be 50 percent higher in the future, which means more people could be affected by widespread power outages, the study says. More intense hurricanes could cause 30 percent more people in some cities to have their power knocked out relative to current climate conditions, according to the study. 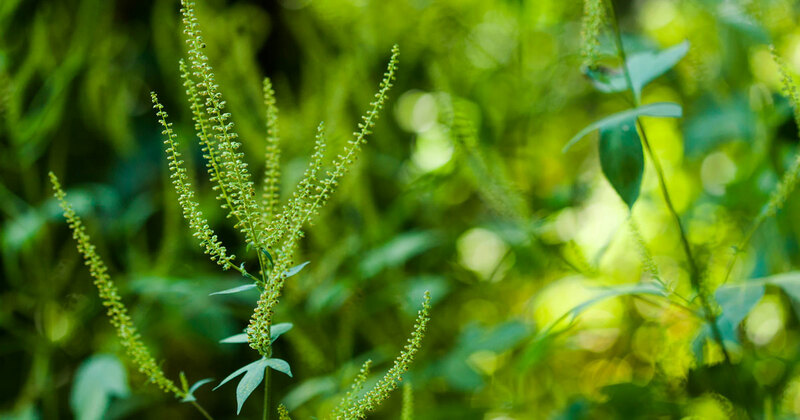 Lead author Andrea Staid, a Johns Hopkins doctoral candidate, said the study doesn’t measure increased risk over a specific period of time. She said climate change scenarios suggest hurricanes could become as much as 40 percent more intense than the historical average, increasing the vulnerability of cities already exposed to hurricane threats. The study does not account for climate change-driven sea level rise expected to exacerbate storm surges, saying that including hurricane storm surges in the research would not significantly affect the accuracy of its power outage predictions. Con Edison, New York’s primary electric utility, took a cue from Sandy and is now in the second year of a $1 billion power grid fortification project to designed to protect it from widespread damage from severe flooding and high winds from major storms, Con Edison spokeswoman Joy Faber said. Radley Horton, associate research scientist at the Center for Climate Systems Research at Columbia University who is unaffiliated with the study, said its authors are taking on tropical cyclones, one of the biggest climate uncertainties because hurricane hazards are not well understood and natural variability in hurricane activity is large. 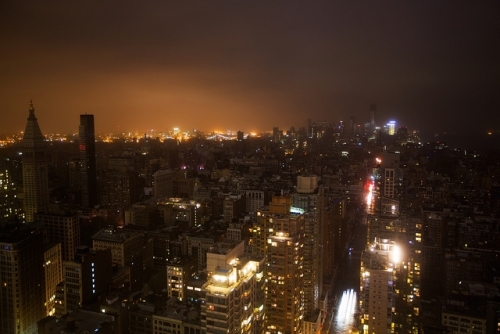 The power outage in Lower Manhattan caused by Hurricane Sandy on Oct. 29, 2012. The study should also serve as a wake-up call for the cities it names, showing how vulnerable their power grids will be future hurricanes, he said. Klaus Jacob, a seismologist and climate change adaptation and disaster risk management researcher at Columbia University’s Lamont-Doherty Earth Observatory, said the study is deficient because of its claim that excluding modeling of storm surges does not significantly affect the accuracy of its power outage predictions. That means a more devastating future is in store for coastal cities than the study suggests, Horton said. Editor's note: This story has been updated to reflect a new statement from Columbia University researcher Klaus Jacob, who said he believes the Johns Hopkins study is deficient because it states excluding storm surge modeling does not substantially affect its predictions of power outages. West Coast States Rule Electric Vehicle Adoption in U.S.